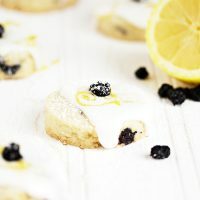 Celebrate Spring with these Glazed Lemon and Dried Blueberry Shortbread Cookies, topped with a tart/sweet lemon glaze. They would be perfect for Easter treats, too! Shortbread cookies are of course, called “short” because there is a high proportion of fat to flour. In terms of shortness, these cookies are very short. Once you’ve cut in the butter, you will essentially have a bowl of crumbs. You’ll wonder how it will ever come together in to anything that could possibly be rolled. A quick note about the dried blueberries. Yes, they are a bit more expensive than some other dried fruit. Buy them at a bulk store, if you can, so you only buy as much as you need. 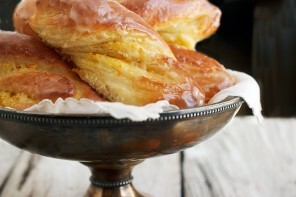 These cookies would also be lovely using dried cranberries and orange zest! These cookies are classic shortbread and the dough is very "short". 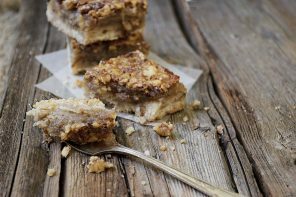 It will be crumbly at first, but working it will bring it together. These cookies would also be lovely using dried cranberries and orange zest. Preheat oven to 325° F. with rack in centre of oven. In a small bowl combine the sugar and lemon zest, rubbing the zest into the sugar with your fingers. Remove dough to a lightly floured surface and roll to an even thickness of 1/2-3/4 inches. Using a 1 1/2 inch cookie cutter, cut rounds and remove to a parchment or silpat lined baking sheet. Re-roll scraps and continue cutting until dough is used. You should get 11 or 12 cookies. If your cookies develop slight cracks, press on the crack lightly to use the warmth from your hands to mend it back together. Bake in pre-heated oven for 20-25 minutes, or until the bottom edges are beginning to brown. Remove from oven them remove to a cooling rack to cool completely. (*Note: If making ahead, best to store the cookies, unglazed in an air-tight container and glaze them closer to the time you will be eating them, as the cookies will begin softening once glazed). 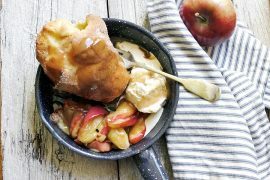 Prepare glaze, by combining all ingredients together in a small bowl and stirring until smooth. Once cookies are fully cooled, spoon a dollop of glaze on top of cookies (you may wish to place a baking sheet under the cooling rack to catch drips!). Garnish with some lemon zest and a dried blueberry. Dust with a bit of icing/confectioners sugar, if desired. Oh, I have to try these – they look delicious. I love shortbread. Do you plump the dried blueberries before you use them or do you just leave them as is? Thanks so much, Evie. I just left them as-is. You could plump them, but I kind of love the chewiness from just leaving them dried. What bright flavors! Perfect for Spring! 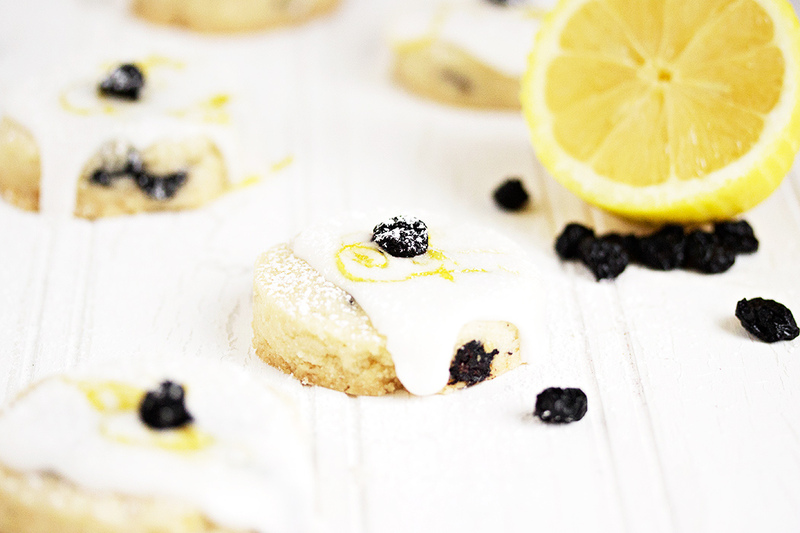 What pretty spring cookies, I adore the lemon and blueberry pairing! Shortbread cookies are one of my favorites too, BUT! I have never made one recipe that has worked for me yet. Feel like coming to Montreal to teach a shortbread class?? lol Anyway, I will most definitely be trying these. They look perfect and I really like the Spring flavour you went with! I am in love with these little shortbread cookies! I can only imagine how delicious they are and dried blueberries are definitely worth their price! Beautiful photos, Jennifer! Thanks Julia, I am in love with dried blueberries, so they’re definitely worth the price for me. They are lovely and chewy in these crisp cookies. Looks wonderful Jennifer! 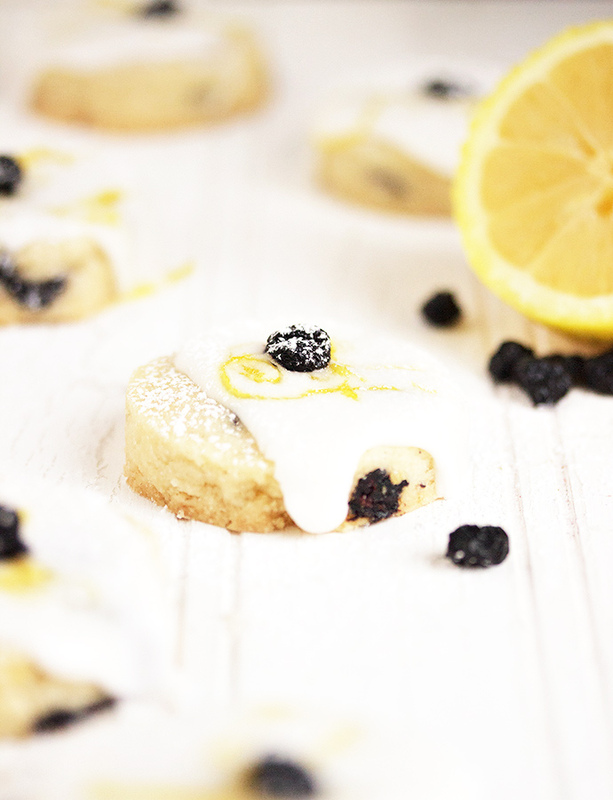 Love the lemon and blueberry combo! 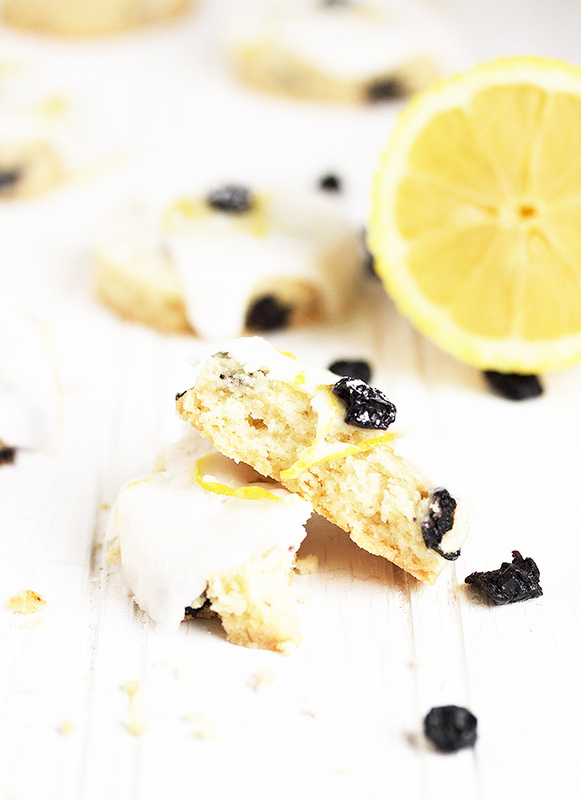 There is just something about lemon and blueberries that screams spring. I can tell these cookies have that buttery, crisp on the outside, melt in your mouth texture that I love, they’re beautiful too! Thanks Sue. I love the texture of shortbread, too. Nothing like it! These are so pretty, Jennifer! And I never knew why shortbread cookies were called “short” before. Now I do! Thanks! I’m dreaming of Spring time! Thanks Liz and I’m dreaming of Spring, too! !